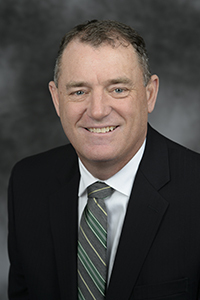 UND President Mark Kennedy’s vision for campus is to keep a Collegiate Gothic architectural style, make it more compact, connect buildings and implement his “Coulee to Columbia” idea to revitalize the main campus corridor. This is part of a larger master planning effort to enclose the campus mall, give it a more collegiate feel, and make it easier to navigate in poor weather. UND archival photo. UND has “good bones,” said President Kennedy. “I’ve often said that UND has some of the most beautiful ‘bones’ of any campus I’ve seen,” Kennedy said. 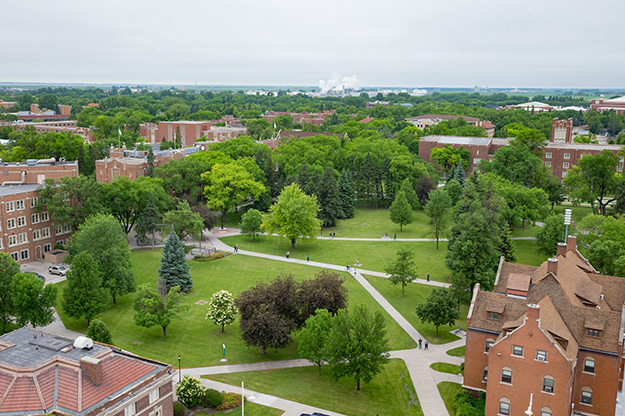 The campus master plan, part of the UND strategic plan, seeks to preserve those bones, or legacy structures, that can be repurposed to meet current needs. The goal is to make the campus more attractive and functional. 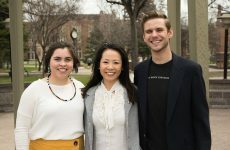 Kennedy’s vision is to keep UND’s Collegiate Gothic architectural style, make the campus more compact, connect buildings and implement the Coulee to Columbia project to revitalize the main campus corridor. This is part of a larger plan to enclose the campus mall, give it a more collegiate feel and make it easier to navigate in poor weather. As the campus master plan has evolved, so have plans for buildings, said Mike Pieper, associate vice president for facilities management. The plan is due at the State Board of Higher Education in February. Some buildings may be repurposed and restored, including Carnegie, Gustafson, Babcock and Montgomery Halls, as well as the Armory and the Stone House. Montgomery Hall could be incorporated into plans for a new College of Business & Public Administration. 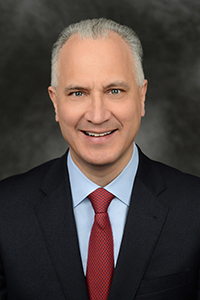 We hope to finalize plans to refurbish the Stone House, and Babcock Hall could be repurposed for use by the College of Engineering & Mines, said Pieper. Some buildings have outlived their usefulness and may be removed. That includes Corwin/Larimore and Robertson/Sayre Halls. 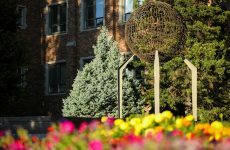 Earlier this month, the University sent a letter to the North Dakota State Historical Society to notify them of their intent to demolish the buildings, which were built in 1908 as part of what was then Wesley College. They were not part of the original campus, and UND acquired them in 1965. “The buildings are very narrow, and it would be difficult to repurpose them,” said Pieper. He added that the deferred maintenance for them is considerable: $4.8 million for Corwin/Larimore and $3.5 million for Robertson/Sayre over the next 10 years. The letter to the State Historical Society is the first step toward removing the buildings. After the State Historical Society has commented on the proposal, it will be submitted to the State Board of Higher Education for approval. If the demolition is approved, work would begin over the summer. Also set for demolition is Chandler Hall, UND’s original steam plant, built in 1899, which has structural issues. That is set to take place in May. 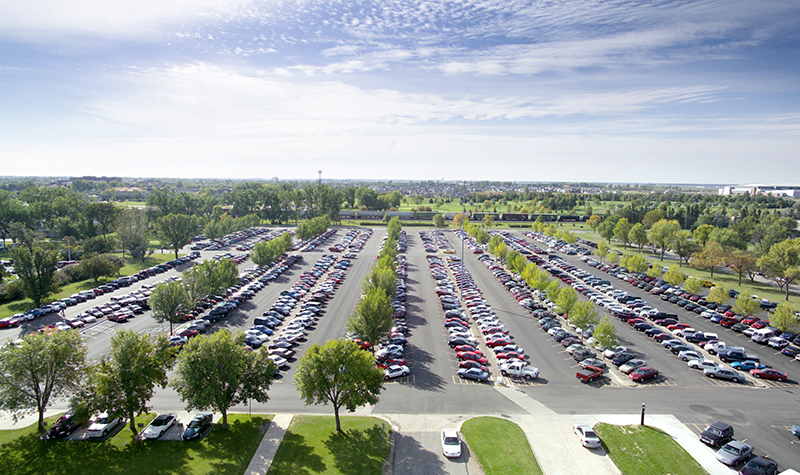 The North Dakota University System has determined that UND has more than enough square footage within its campus footprint to conduct business. In an effort to further right-size the University and reduce deferred maintenance costs, which have been estimated to be as much as $500 million, UND has carefully considered which buildings will help the University move toward a more compact, attractive campus. The University also has worked closely with the Grand Forks Historic Preservation Commission to meet all laws and guidelines when considering facilities for demolition. Last summer, seven buildings were demolished.